Is Your Sewer Line at Risk of Breaking Soon? It’s the last thing a homeowner wants to worry about, but the reality is that your sewer line could be at risk of breaking soon or just broke. 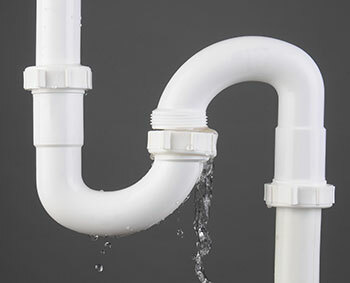 If undetected, broken sewer pipes can lead to expensive residential plumbing repairs. But by knowing the signs of common problems, you will be able to detect a potential issue much earlier. That will save you from intense and expensive renovations. A broken sewer line could mean costly repairs. Watch for these signs to prevent a plumbing disaster. The easiest way to tell if you have an issue with your sewer line is if you see a big spike in your water bill. This shows that there is increased water consumption on your property, which indicates your pipes have begun to break if they haven’t completely broke already. Because the spike in the water bill is a pretty strong indication that there is a problem or about to be a massive problem, you should hire a professional residential plumbing company to take a look at the issue right away. Decreased water pressures and water flows are another obvious sign of residential plumbing problems. These two terms don’t mean the same thing, however, and either term can be measured to detect a damaged sewer line. Water flow is the physical amount of water, sometimes referred to as volume, you receive from your pipe fixtures. When a decreased flow occurs, it normally means that extra water is leaking out at some point in your system. Water pressure, on the other hand, is the force that pushes the water out of pipe fixtures. When pipes are cracked, expanded, or burst, your water pressure can be significantly lower. If you have issues with your sewer line, you may start to notice damp spots inside your home. Dampness and moisture spots are common results after sewer pipes crack or leak. If you notice any dampness or moisture, you should call a plumber immediately. If you don’t act quickly, the severity of damage to your sewer pipes could drastically increase. Every sewer line can have the occasional clog, but you have an issue if you find that it’s persistently clogged. Sometimes the clog can just be from gunk and sludge buildup, but often times it is because there are issues with your sewer pipes. If you still can’t solve your clogging problem after attempting to clear out buildup, it’s likely that there is a break in your pipes. This entry was posted on Thursday, March 24th, 2016 at 10:09 pm. Both comments and pings are currently closed.